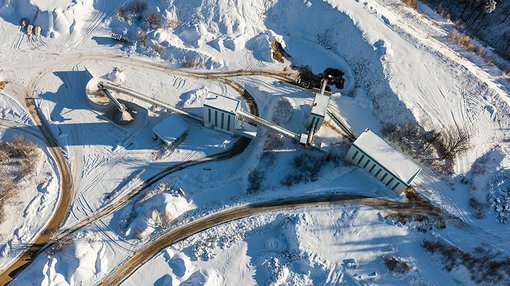 White Rock Minerals Ltd (ASX:WRM) has provided an update today on its impending plans for a comprehensive exploration programme at its globally significant zinc VMS project at Red Mountain, Alaska. 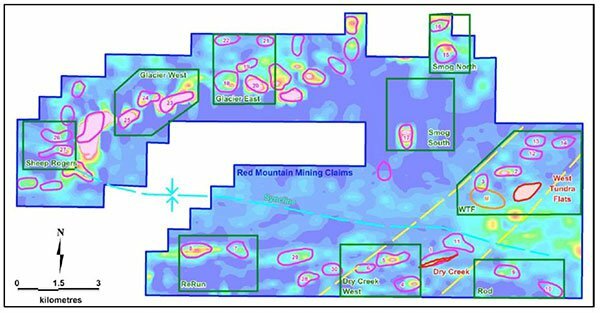 The company announced its exploration strategy for Red Mountain in December last year, outlining a strategy that comprised a targeted diamond drilling programme (aimed at in-fill and expansion of the high-grade Maiden Resource), on-ground orientation EM across the two already identified deposits, and a follow-up diamond drilling programme on the best of the more than 30 already identified exploration targets. It’s worth noting here that this is an early stage play and investors should seek professional financial advice if considering this company for their portfolio. The initial drilling campaign is scheduled to kick off in May, and will target two deposits — Dry Creek and West Tundra Flats. This Maiden Resource has a base of 16.7Mt at 8.9% ZnEq (zinc equivalent grades) including a high-grade component of 9.1Mt at 12.9% ZnEq1. The company will be engaging the locally-based consultancy firm Northern Associates to represent the company on the ground at the project site. Further, a contract for the exploration camp facilities has already been arranged and will be transported to the site. Over winter, the camp will be accessible via an ice road approximately 114 kilometres long (all access permits have already been received) which traverses between the township of Delta Junction to the foothills of the Alaskan Range at Newman Creek where there is an existing air strip. In addition, WRM has sought tenders for the drilling program and received six responses, with a Preferred Contractor selected. Managing Director & CEO of White Rock, Matt Gill commented on today’s announcement: “The company is very excited about the potential for its globally significant high- grade Zinc VMS Project at Red Mountain, and the news flow that should come from a successful exploration program here. “Since acquiring the Red Mountain project in early 2016, we have expanded our strategic footprint 10-fold, to 143km2, and have also released a maiden Mineral Resource that immediately placed the Red Mountain Project in the top quartile of undeveloped high-grade VMS (zinc, silver, gold) deposits globally. Importantly, the two deposits identified within the company’s extensive land holding immediately placed the Red Mountain zinc project as one of the highest grade and more significant deposits of any zinc company listed on the ASX and an important VMS asset within a global context. The below image of WRM’s Red Mountain claims shows high-priority conductors (pink) on a conductivity depth slice at 40 metres below surface from the 1D inversion of airborne electromagnetics. Locations for the Dry Creek and West Tundra Flats VMS deposits, and target areas (ReRun, Dry Creek West, Rod, WTF, Smog South, Smog North, Glacier East, Glacier West and Sheep Rogers) are in green boxes, and the corridor of conductors along the northeast trend from Dry Creek to West Tundra Flats are represented by a dashed yellow line. “We plan to drill the best of these regional targets towards the end of this drilling campaign. This is an exciting time for White Rock,” Gill said.